Upon arriving at your site, you want the visitor to do something such as signingup your newsletter or buying your product. 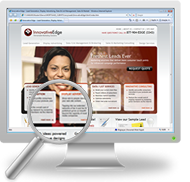 Our starting point is to understand your corporate identity for ideal reflection on the web. Next comes the creativity to make your presentation visually attractive and elegant by applying our artistic design capability. We offer you a wide Spectrum of web design services from simple page template to corporate site design/redesign. Our web site designs are carefully planned and developed to reflect each of our clients individual image. 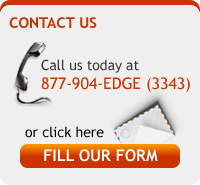 Our designers are fully educated in the use of advanced web programs and specialize in designing effective web sites. 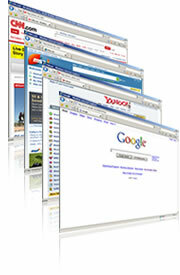 We also provide the essential elements that your site must contain in order to be accepted by search engines. 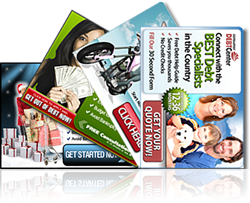 We have designed and developed award-winning web sites with this professional approach. You’re about to launch a big online marketing campaign complete with media buys, search engine placement, banner ads and blog buzz. You’ve tested your creative and your clickthrough rate is strong. You know once you go live, tons of targeted traffic will be hitting your site. Time to sit back and relax, right? Not quite yet. Upon arriving at your site, you want the visitor to do something (e.g., register for your newsletter or buy your product). Your site is not successful until that desired action is taken. When a visitor takes that desired action, you’ve had a conversion. If you have millions of visitors coming to your site daily and no one converts, not only do you have an unsuccessful marketing campaign, but also a big hosting bill. Attracting traffic is easy. The tricky part is converting it. And that’s the purpose of your landing page. 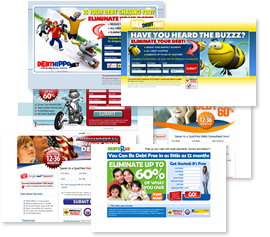 A landing page is the page visitors arrive at after clicking on your promotional creative. As you can see, there are some major obstacles to getting visitors to do what you want on your landing page. You have to convince people to do things they hate. 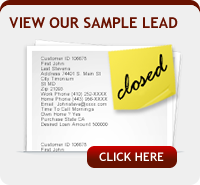 This is why typical conversion rates are extremely low. Most people don’t come to your landing page and look at every single design element. They come looking for clues to quickly answer their questions. Your landing page needs to address all these issues immediately. If your design elements are not focused enough and/or distract the visitor, expect high page abandonment. This is where your marketing copy and pitch comes in. Visitors will scan your intro copy, media content, product information, testimonials, and design value and decide whether or not to convert. Even after a customer has decided to accept your offer, the conversion can be lost. Any flaw in site functionality and usability can cause you to lose the conversion, so ensure your privacy information is posted and there are no hiccups in form processing. InnovativeEdge's energetic team of designers with over 20 years combined experience cover a diverse background of Flash Design, Shockwave Design, Environmental Graphics, Interactive Presentations, Sound Design, Video Capture/Conversion, 3D Rendering, Motion Graphics and Print Design. Being an Internet marketing company at its core, your advertisements will be designed to take advantage of the most advanced marketing strategies. We are able to combine our highly trained designers with our marketing and advertising professionals to create more then just something for people to look at. We are knowledgeable in the fact that there is much more involved with marketing success then just the "look" of your creative or banner ad.